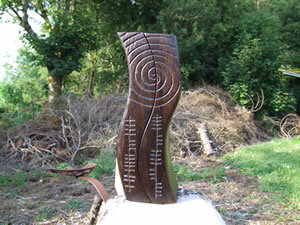 Ogham is a little understood Gaelic written language that was used for magical purposes by the elder Irish. Today we have Priestess Siobhan McGowan and Adept William Melmoth talking about their research with the Oghamic Studies Group, now known as the An Bradán Feasa Element within the Temple of Set. We also go into the usage in magic of Ogham in practical as well as divination that surprisingly is a more modern representation.